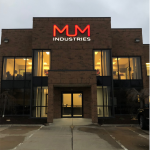 INDUSTRY’S FASTEST LEAD TIMES FOR MODIFIED STANDARDS. 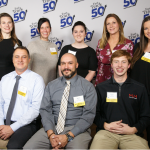 Industries is proud to be recognized as a 2018 Fast Track 50 Established Business Winner for the 7th consecutive year! For 91% of American adults, day-to-day life is overwhelming, with a plethora of notifications for new text messages, tweets keeping them connected. 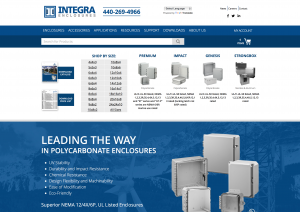 Integra Enclosures manufactures engineered thermoplastic electrical enclosures for use in applications requiring corrosion resistance, insulation, ease of installation and/or a competitive price. 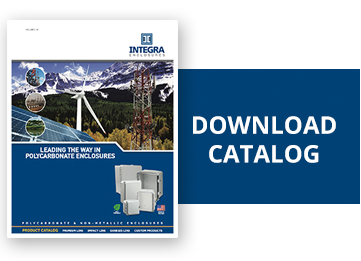 Integra’s polycarbonate is the ideal material for various types of NEMA enclosures, with uses such as electrical construction, water treatment, solar power, car washes, telecommunications, instrumentation, machine building, HVAC, and more. 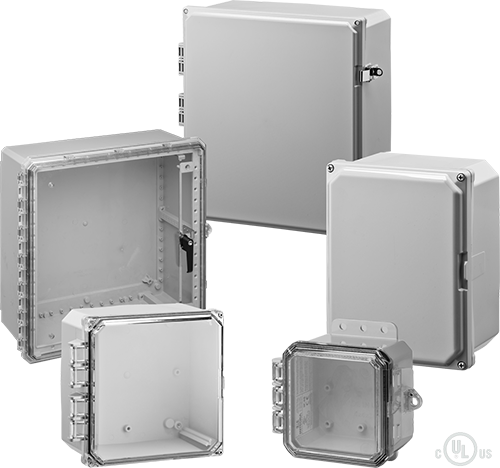 Choosing a polycarbonate enclosure to meet your needs is as simple as considering the physical and chemical demands of your application, selecting the right size and NEMA rating, and then customizing as much as necessary for end-use. 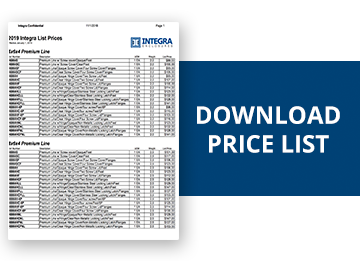 Use our product finder in the right-hand column to find an enclosure that matches the size and protection rating your project mandates. Communications: As wireless needs continue to grow exponentially, the infrastructures that support wireless networks need reliable protection. 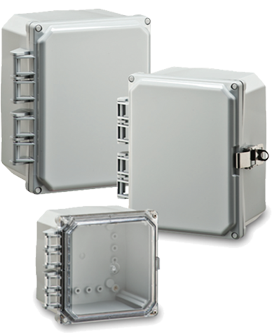 Integra enclosures are tough enough for harsh outdoor conditions, and also allow communication waves to freely pass in and out. Alternative Energy: Electrical component housings on alternative energy structures put up with a lot of environmental abuse: head-on UV rays, varying temperatures, and precipitation can do serious damage. 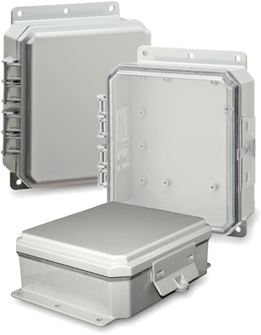 Polycarbonate enclosures stand up to all these challenges and more. 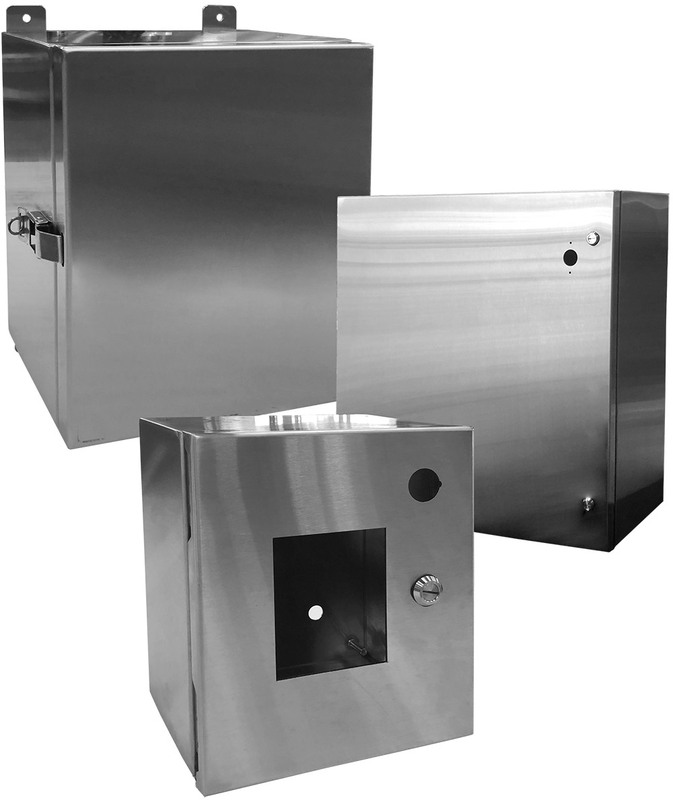 Oil and Gas: Enclosures at drilling sites need to be weatherproof and corrosion resistant. 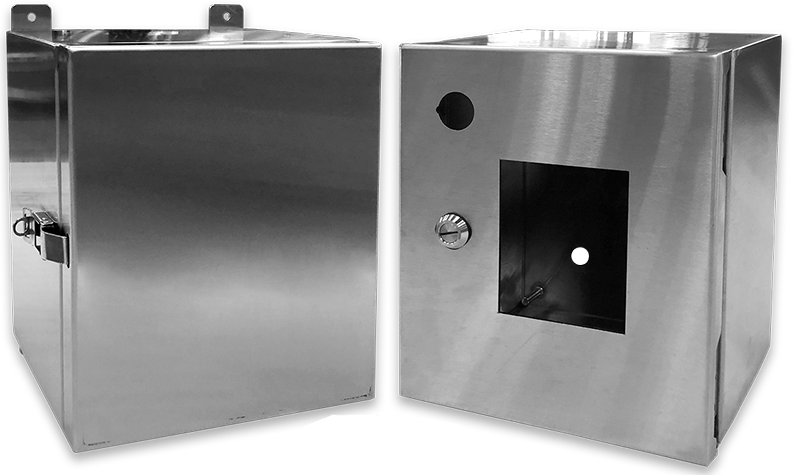 Unlike metal enclosures, polycarbonate enclosures will endure years of exposure to corrosives. 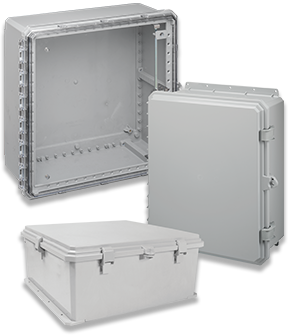 Marine: Temporary submersion and otherwise wet environments usually spell disaster for the contents of lower-grade enclosures. 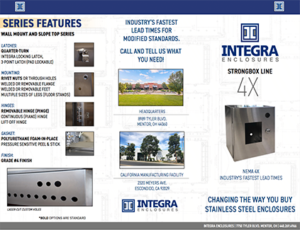 Integra’s marine-friendly housings meet and surpass NEMA standards for protecting your apparatuses. Wastewater Treatment: The corrosion resistance and tight-locking design of polycarbonate enclosures make them the preferred choice of customers in the wastewater treatment industry, but these enclosures fend off abuse from even the most noxious wastewater.